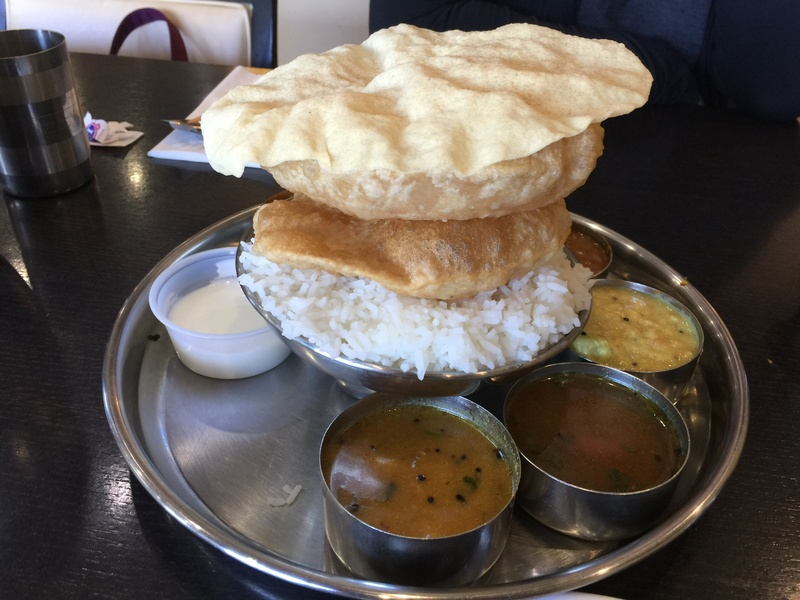 Thali consists of a bowl of rice, Indian breads, and a selection of condiments. It is all vegetarian and mostly quite spicy. I have to admit to my eyes tearing up and my nose running after a particularly spicy bite. 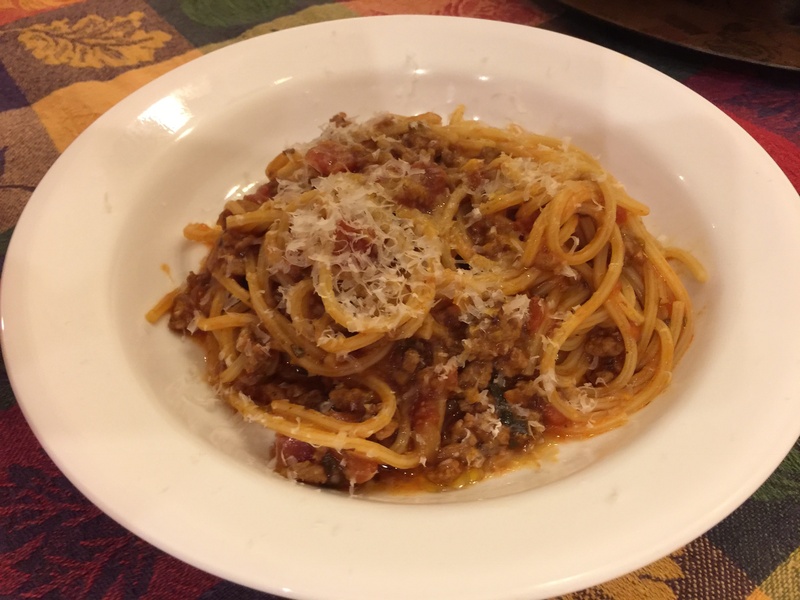 Later when John got home I heated up the spaghetti sauce I made yesterday and boiled up 6 ounces of spaghetti. My sauce still needs a little work but I did a great job cooking the spaghetti. This entry was posted in Beef, Dining out, Pasta, rice, Vegetables, Vegetarian and tagged meat sauce, pappadam, rice, Spaghetti, thali. Bookmark the permalink.